CREATE provides tailored life-skills workshops as part of The Ability Project for young people with an out-of-home care experience, who are receiving support from a disability service provider. The skills gained during the workshops are aimed at supporting young people transitioning to independence, ensuring they have access to support services which best suit their individual needs, goals and aspirations. The workshops offered include Life Skills, Housing and Finance, Identity & Wellbeing and Interpersonal Relationships. 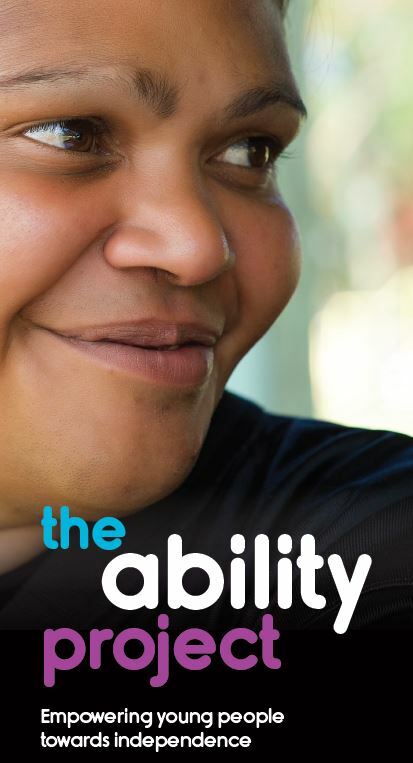 For more information, you can view the The Ability Project Brochure. Alternatively please contact the NSW Ability Project team on 1800 655 105, or email nsw@create.org.au. Speak Up (SUP) is CREATE’s empowerment program, available to all young people with a statutory care experience aged 15–25 years old. The SUP program has been adapted to suit the skills, capacities and experiences of young people engaged in the The Ability Project. Voice Your Choice is a supported decision making workshop for young people and their support people, carers or caseworkers. • What is a decision and how are they made? • Who can help you make decisions? in order to make decisions? • What can you expect from someone supporting you? • What is supported decision making and its context? • How do we create barriers or enablers in supported decision making? Voice Your Choice is also supported with a video, designed for anyone who is caring for, supporting or working with a young person with a disability in out-of-home care or preparing to leave care. The video provides an overview of key supported decision making principles for effective practice, will up-skill all participants and empowers disability or care sector professionals to work alongside young people with disability in the care system. Healthy Relationships is a video resource based on the CREATE Your Future life skills workshop Relationships. The video is aimed at young people with a care experience (both with and without disability), and facilitates discussions with young people regarding what healthy and unhealthy relationships look like, how to communicate effectively in relationships and what is important for young people to remember when developing new relationships. If you would like to understand more about supported decision making please visit ADHC- Supported decision making.